How much does it cost to Develop a food ordering Mobile app? Looking For A Food/restaurant Mobile App For Your Business Than You Are At A Correct Address. Hyperlink Infosystem Can Flatter You With The Best Cost Effective Food Ordering App. Everyone is going more global and more digital for their business and why not? The world is getting closer day by day with the use of latest technology and business person should acquire this advantage and expand their business as much as possible. Well, Now a days technologies are playing a very significant role as far as the marketing of your business is concerned and on the other hand it is also very essential for a buyer of a service or product. Mobile application is one of the supreme way in this global arena for a business person to connect with the consumer and Vice Versa. If we want to describe the facilities that mobile application provides, we can say its fast, easy, convenient and efficient. A mobile application provides a smoother communication between buyer and seller. Today we at Hyperlink Infosystem are going to talk about the Food ordering mobile apps and what would be the cost to create a one for your food/restaurant business. Well, firstly why would your food business need a mobile app? It's very simple! To make an easy way for your consumer to feed their taste buds wherever and whenever they want that too as easy as possible. If you look around everyone is using their smart phones for one reason or another. Your Mobile app can save time of your staff taking an order on phone or by many other reasons. A smart phone app will ensure that the right order will go to a right person and it decreases the possibilities of any mistake occur by the staff members. This way your customers can be more satisfied by the service you provide and it can also help you to increase the credibility of your business plus you can drive higher revenues. There can be many types of food/restaurant apps which can be beneficial such as order ahead app. This means a customer can place an order before they go to a restaurant and directly collect the order once they reach. A very convenient and time saving idea of a restaurant app. Another way is to get an order at your home. So when you are unable to go out, this is the easiest way to get your food at home. These apps are surely increase the order values. Many leading food chains are applying different strategies using the mobile applications and we must accept that they work quite well. Now let's come to the cost of developing a food ordering app. It entirely depends upon the features, design and the functionalities you want to add. What kind of an app you are looking for will be the first question as far as cost is concerned. Features and functionalities decide whether your app is simple enterprise app, medium enterprise app and a complex enterprise app. And according to the complexity of your app, the cost will be decided. 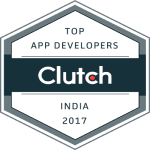 The App Developers India generally charge between $50 to $130 per hour. We at Hyperlink Infosystem are a leading mobile app development company India and we are master in making best tailor made apps for your business. Making a food ordering app is our on of the Forte'. The cost to develop a food ordering app would be around $6,000 to $15,000. Well of course if your app is more complex than it can rise upto $40,000. If you are clear about what you need, it will be easier to estimate the cost. We at Hyperlink Infosystem will support you from each and every phase of the project just to make it perfect. Contact us for free quotes now.